Yuri Milner announced the $100 million project Tuesday. It's aimed at establishing the feasibility of sending a swarm of tiny spacecraft, each weighing far less than an ounce, to the Alpha Centauri star system. Powered by energy from a huge, Earth-based laser, the spacecraft would fly at about one-fifth the speed of light. Their target would be a planet with potential for holding life. 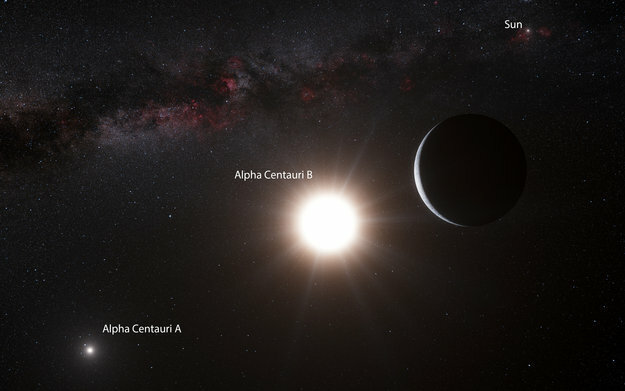 No such planet has been discovered yet at Alpha Centauri, but experts say one may lurk there. The spacecraft would take 20 years to reach the star system, where they would make observations and send back data.